For many years a beautiful ceramic hung on the wall of our kitchen. It featured an elegantly composed design of grapes and vines. The wall on which it hung was the entryway to the basement. 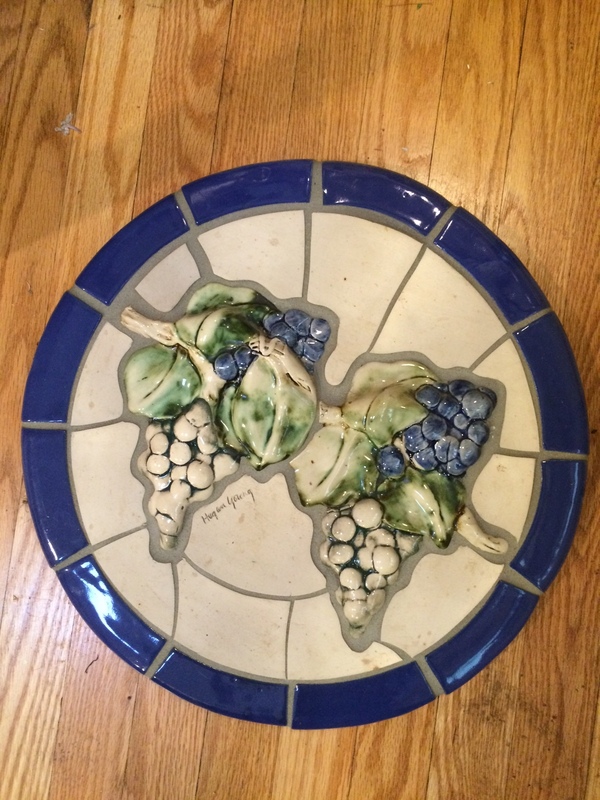 We looked at that grape ceramic every day and walked by it perhaps 1000 times over the years. The pocket door that led to the basement had a broken latch. It was therefore hard to pull it out from the wall. In fact that door had not been closed in nearly five years. Every time I tried pulling it out there seemed to be something stopping it. The door felt stuck. Finally curiosity forced me to take a closer look at how the door worked, and why it seemed so stuck. Using an LED flashlight, I shone the beam between the wall and the pocket door. The mystery was solved. When we hung that ceramic on the wall the nail had pierced the wall and embedded its point in the surface of the door. It basically nailed the door in place. I took the ceramic down and pulled the nail out of the door. The pocket door easily slid out of the wall. We had a good laugh thinking about the many times I had tugged and tried to get that door to work. We’d assumed the problem was insufficient leverage from the broken latch. That wasn’t it at all. It took a look inside the door to figure out the simple solution to the pocket door problem. There are quite a few things like that in life. We imagine things holding us back or keeping us stuck in place. Usually the solutions are much simpler than we’ve taught ourselves to think. Slowing down and actually taking a look at the situation can often reveal the answer to our inner questions, those things that make us doubt ourselves or make us too proud to question our self-perceptions. Little flaws can cause our whole world to stick. It’s always worth a second look. 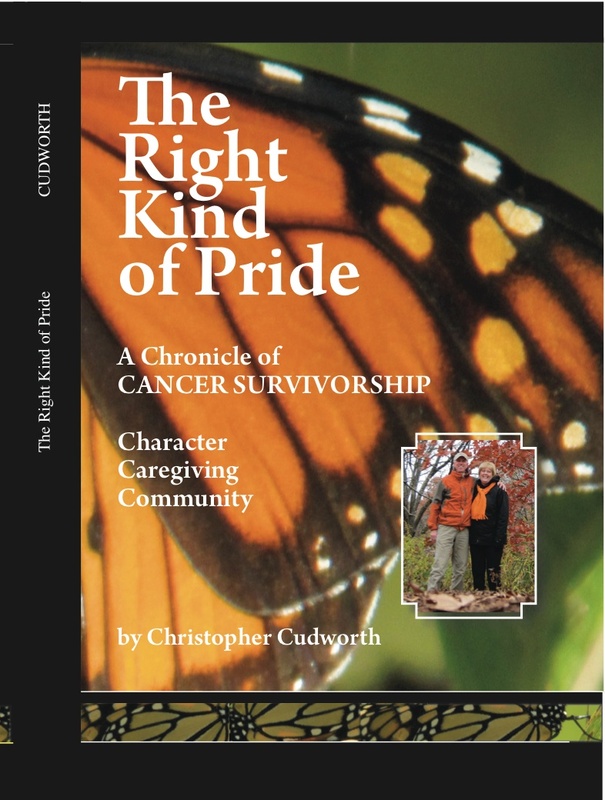 Christopher Cudworth’s book The Right Kind of Pride features insights on how to face life’s challenges and make the most of life’s opportunities. It’s available on Amazon.com. This blog continues the vein of thoughts and insights gleaned from 8 years of cancer survivorship and all that it taught and wrought. Sorting through the real truths of the Bible takes work. Some people work instead to promote truths that support either their desires, their fears or their source of earthly power, including wealth and the position it buys you society. It’s a challenge to understand that balance. 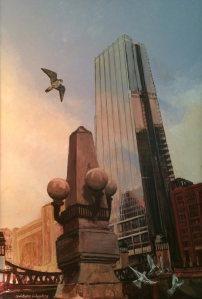 Painting by Christopher Cudworth of Chicago skyline with peregrine falcon. As a very young artist I was fortunate to receive a series of commissions from a man who would go on to earn great wealth. At the time I met him, he was in the early throes of a vision that led to one of the top investment trust companies in America. A decade or more later he sold his firm to a larger entity for a profit of $400 million dollars. For a short period of a couple years I worked for that company. That was a strange experience in some ways. The man who founded the company was also a zealous Christian fundamentalist. He formed several churches during his life. At times it was rumored that he wrote the sermons himself, critiquing the pastors he hired to deliver them.